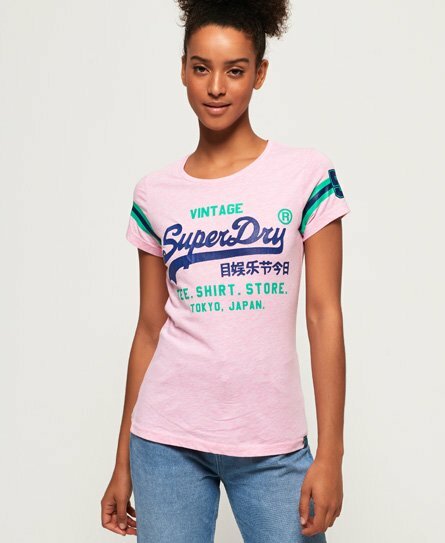 Superdry women’s Shirt shop varsity t-shirt. This is a timeless addition to your wardrobe this season, whether you intend to wear it on its own or layer up in the colder weather, this will keep you looking on-trend. The shirt shop tee features the iconic Superdry logo across the chest in a cracked effect print, textured stripe detailing on the sleeves and a Superdry tab on the hem.